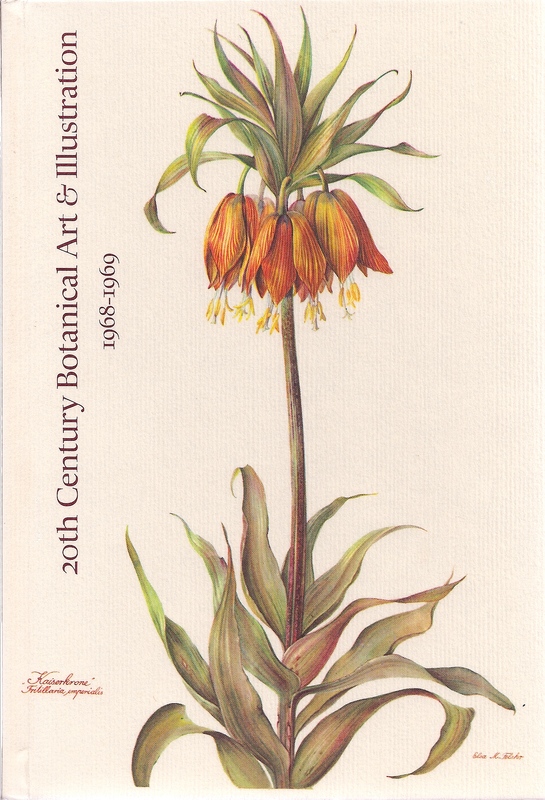 This article was published originally in the November 2004 issue The Southern California Botanical Artist which was the newsletter of the Botanical Artists Guild of Southern California. It has been updated and is reprinted below with permission. Impressed with what she saw during a visit to California to attend a nursing conference, Beverly Mockel returned to Cooperstown, New York to talk her husband, artist Henry R. Mockel, into moving to the Golden State. When she succeeded at this task, they moved to the town of Calico in the Mojave Desert in 1958. While residents of Calico, the Mockel’s often took trips to Joshua Tree National Park to see the wildflowers. They made frequent stops so Henry could paint flowers along the way. Eventually they decided they should move closer to the flowers, so they moved themselves and their 47-foot house trailer to Twentynine Palms in 1961. After settling into their new home, Henry and Beverly opened the Pioneer Art Gallery in what is now the Historic Plaza. One can only imagine that this new exciting desert lifestyle was quite a change for Henry, a former bookbinder, farmer and cattle rancher. Henry Mockel was not an artist when he immigrated to the United States from Germany in 1923. His interest in art did not begin until after he moved to New York where he first studied engineering at City College. He then studied art at Grand Central School of Art and continued his art studies for 15 years. His specialty was etching and woodblock printing. Unfortunately, a studio fire destroyed his work and his equipment. Only a few of his etchings survived. After the fire, Henry began creating serigraphs. His original serigraphs are available for purchase at Henry R. Mockel’s – the business that distributes Mockel’s note cards and prints. What are serigraphs? Serigraphs are screen prints. The fine art version of screen prints, that is, not the T-shirt type of prints. A drawing is made into a stencil and ink is forced through the stencil onto paper. Each color in a serigraph is its own print. Some of Mockel’s plant portraits are the result of 45 separate printings! Taken with the desert and its flora and fauna, Mockel spent many days studying plants and drawing them in the field. He studied botany and took copious notes on his desert adventures with Beverly. The culmination of 14 years’ worth of observations resulted in a book they co-wrote in 1971 titled, Mockel’s Desert Wildflower Notebook. This book contains illustrations, photographs and descriptions of 133 desert plants. Mockel’s renderings of these plants were done as watercolors, scratchboard, or serigraphs. The Mockels wanted to create a reference that could be understood by anyone with an interest in plants, so they deliberately avoided the use of technical language in their plant descriptions. While no longer in print, this book can be viewed at the following locations: Theodore Payne Foundation, Blaksley Library at the Santa Barbara Botanic Garden, UC Davis’ Shields Library, the California Academy of Sciences, UCLA’s Biomed Library, UC Riverside’s Science Library, and the Riverside County Library System. Check your local library to see if this book is available near you. The Hole-in-the-Sand (Nicolletia occidentalis) we discovered while proceeding on tip-toe on a short-cut from Pioneer Town to Big Bear. The road was recommended to us as being scenic. We had to build only one bridge, while the rest of the time, as occasion demanded, a short hasty prayer sufficed (Mockel, 1963). 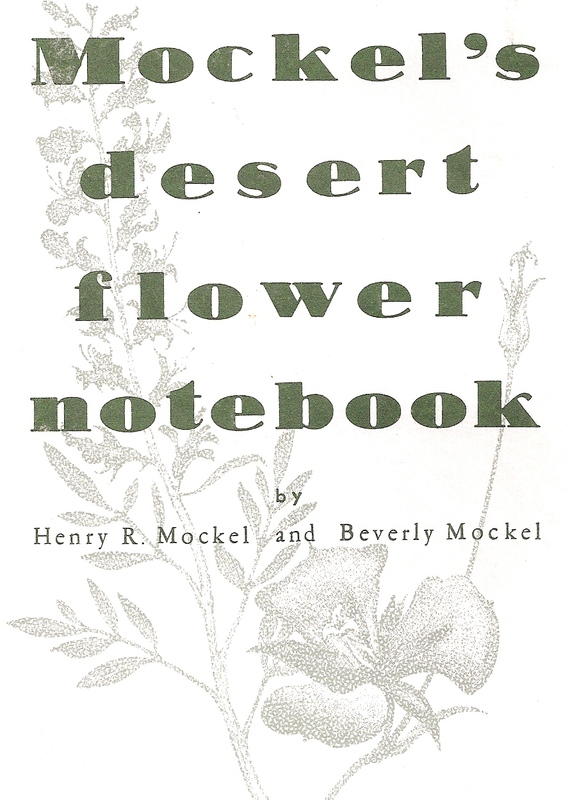 In the Desert articles, Mockel does not describe in detail how he sketched desert flowers. He did, however, mention that he drew his plant portraits only from living plant specimens and he never broke the stems of any plant he drew (Mockel, 1965). He also mentioned he spent many hours in the field sketching next to his subjects. Mockel printed limited editions of 100 of each piece he created. He then destroyed the stencils upon the completion of each printed series. The Borrego Desert Nature Center has an exhibit of Mockel’s work. Originally scheduled to end in June 2004, this exhibit is on-going (although not always available for viewing). Approximately 20 serigraphs are featured in the exhibit and they are for sale as prints at $100 each (members of the nature center receive a 15% discount). An additional 30 serigraphs are in storage, so if you are looking for something in particular, be sure to ask for help. The Borrego Desert Nature Center is located in Borrego Springs in the Imperial Valley west of the Salton Sea. It is run by the Anza-Borrego Desert Natural History Association. Mockel’s work is included in the Botanical Art Collection at the Hunt Institute for Botanical Documentation at Carnegie Mellon University in Pittsburgh, PA. The Hunt has 47 pieces of Henry’s artwork in the following media: serigraph (paper), serigraph (illustration board), scratchboard, pencil on tracing paper, watercolor (paper), watercolor (illustration board). Henry had three pieces of artwork accepted into the 2nd Annual International Exhibition of Botanical Art & Illustration at the Hunt in 1968. Mockel’s artwork has also been seen in local publications. Two of Henry’s plant portraits were featured on the cover of Lasca Leaves in Autumn 1963 and Summer 1964. Lasca Leaves is a periodical that used to be published by the, then, California Arboretum Foundation of the Los Angeles County Arboretum and Botanic Garden. The Arboretum gift shop also sold a special collection of note cards featuring twelve plants and shrubs that Mockel painted at the Arboretum. Henry R. Mockel died on May 3, 1981 in Joshua Tree, CA. His wife Beverly continued to sell Henry’s work at their gallery. Two years before she died, Beverly sold the business and it is now operated under the name Henry R. Mockel’s. Beverly passed away in March 1990. Mockel, Henry R. and Beverly Mockel. 1968. 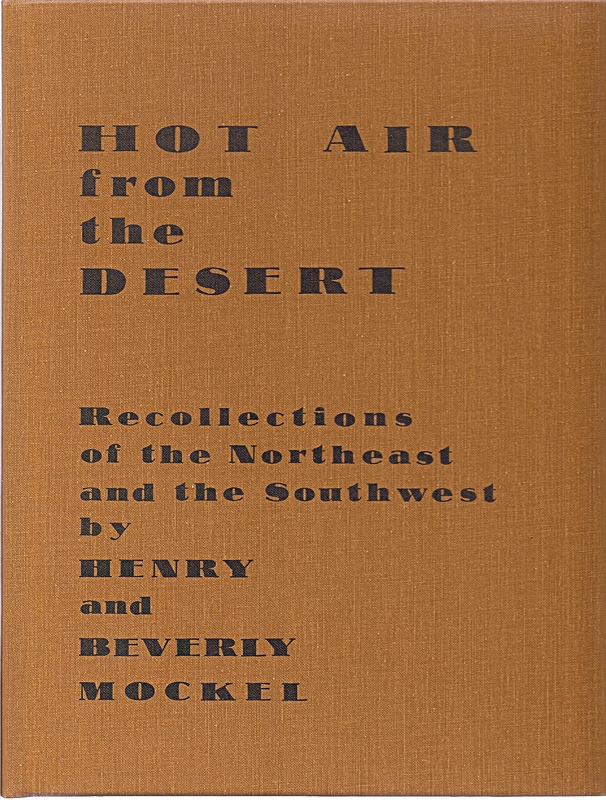 Hot Air from the Desert – Recollections of the Northeast and the Southwest. Self-published. Twentynine Palms, CA. Mockel, Henry R. and Beverly Mockel. 1971. Mockel’s Desert Flower Notebook. Self-published. Twentynine Palms, CA. *Note cards can be ordered from Henry R. Mockel’s in Twentynine Palms, CA. Request an order form by writing to: Henry R. Mockel’s, P.O. Box 726, Twentynine Palms, CA 92277 or call (760) 361-4832. Journalist Ann Japenga learns more about Henry Mockel. She writes about her discoveries in Henry Mockel: The Philosopher of Flowers at California Desert Art.